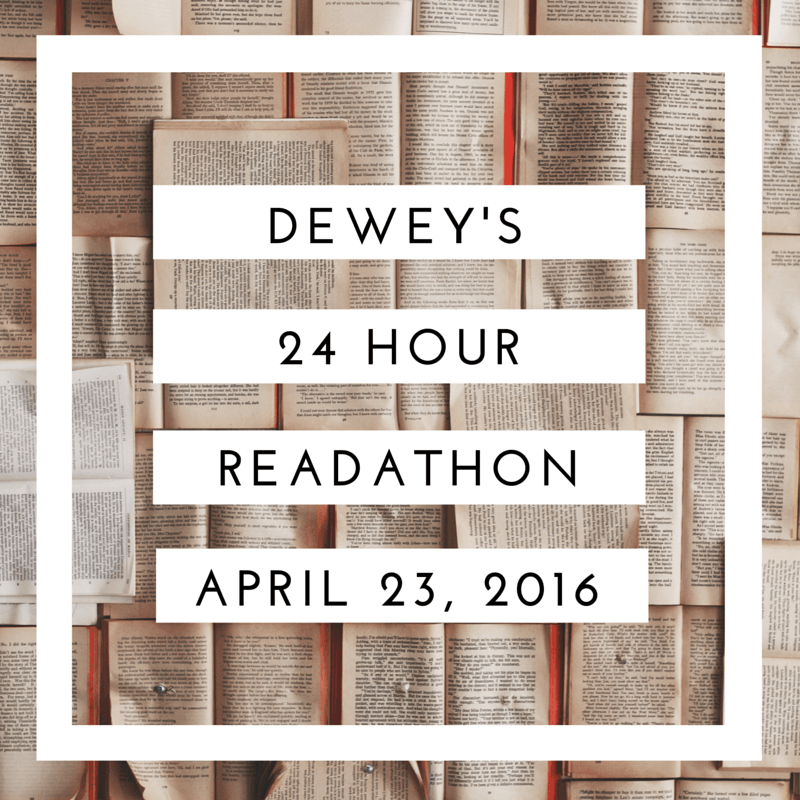 This will be my second year participating in Dewey's 24 Hour Read-a-Thon. Only this year I will actually have the day off! Last year I had to fit my reading around a work shift, because that is life of a server. This year, as luck would have it, I traded my shifts around to help out a co-worker without realizing it fell on the same Saturday as the Read-a-Thon. I'm hoping for another sunny and warm Saturday so I can nest on my patio while I read, but I'm sure my reading nook will do if it decided to be cold. I'm not setting a TBR pile for Dewey's this year, because I always tend to stray from what I plan on reading. Instead I'm going to let my mood decide what I pick up. My only goal is to make it the entire 24 hours, 5 am to 5 am, and still be able to function the next afternoon work. Dewey's 24 Hour Read-a-Thon is super low stress, and that's what I love about it. No one is required to set a goal, there's always someone to cheer you on, and I love seeing what everyone else has been reading. Even better there are mini challenges that you can sign-up for and the Hosts of the Read-a-Thon give away prizes every hour. It's super fun, easy going, and I'm excited to have the whole day. Randomly throughout the day I'm going to toss up some updates, probably via my phone. I've also roped my flatmate into a day full of reading, and by roped I mean I mentioned and she agreed it would be a good way to spend a Saturday. I've also included links above to both the sign-up page and the home page for Dewey for anyone interested in joining up. Or, just curious.